You don’t have to be an athlete or play sports to suffer from aches and pains or suffer an injury that requires physiotherapy or deep tissue massage (sports massage). Injuries, aches and pain can occur any time and especially when you least expect them! 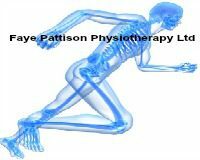 At Faye Pattison Physiotherapy Ltd, our aim is to target the cause of your pain, offer a unique treatment plan suitable to whatever your condition/ injury may be and to give you the best advice and support to help minimise the chances a reoccurrence. Our team of highly skilled and experienced therapists will help you get back to activities of daily living whether you are an elite athlete, post-surgery, had an injury or been suffering in silence with an ache or pain which you can’t seem to shift. 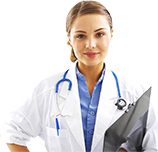 Click on the links below for more information of various different treatment sites, injuries and pain we treat. We have seen it all at Faye Pattison Physiotherapy Ltd! To arrange your initial consultation or to ask any questions or concerns you may have, please contact us today.